Mesmerizing colorized photos show the most notorious female criminals in 1920s Australia, including the fearsome London born razor-gang leader Matilda Devine. These pictures are from a series of around 2,500 “special photographs” taken by the New South Wales Police Department photographers between 1910 and 1930. 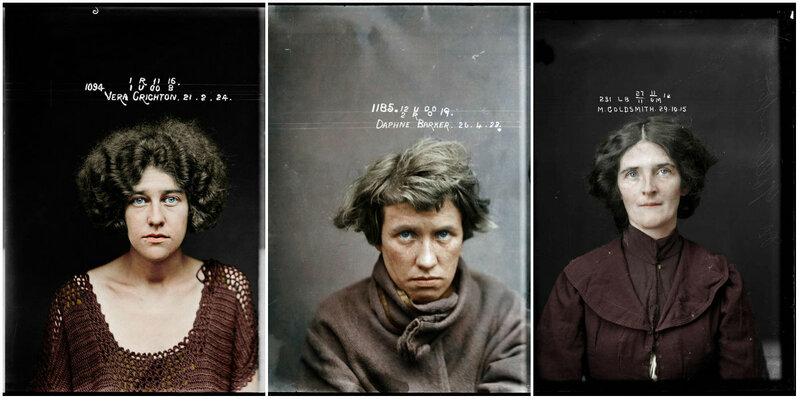 They were mostly taken in the cells at the Central Police Station, Sydney. 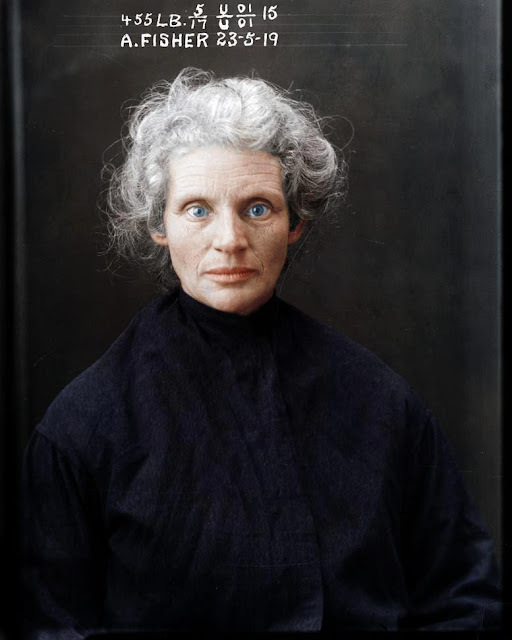 This series of expertly colorized pictures looks into the souls of their female counterparts Down Under, many of whom were British immigrants. The pictures have been colorized by Matt Loughrey of My Colorful Past. Mrs Osbourne, location and details unknown, around 1919. 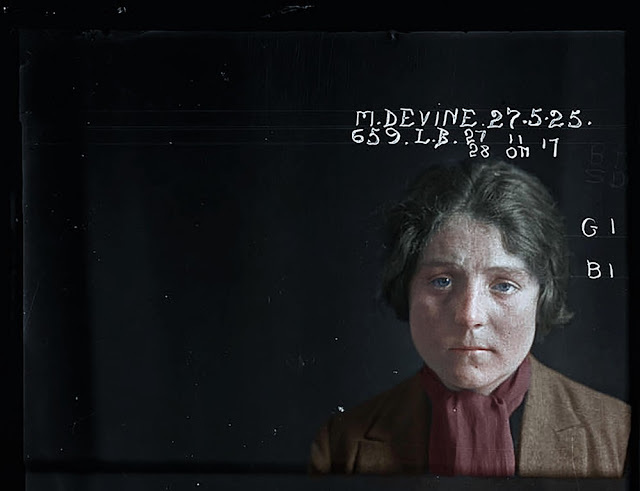 Matilda Devine, 27 May 1925, had 79 convictions for prostitution related offences including indecent language and offensive behaviour. Alice Cooke at the Sydney Women’s Reformatory in 1922. 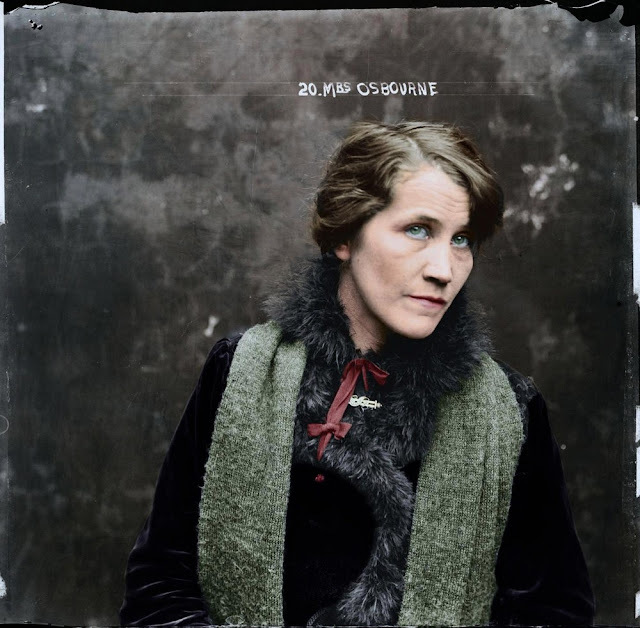 By the time she was 24 Alice Cooke had created an impressive number of aliases and at least two husbands, and was convicted of bigamy and theft. 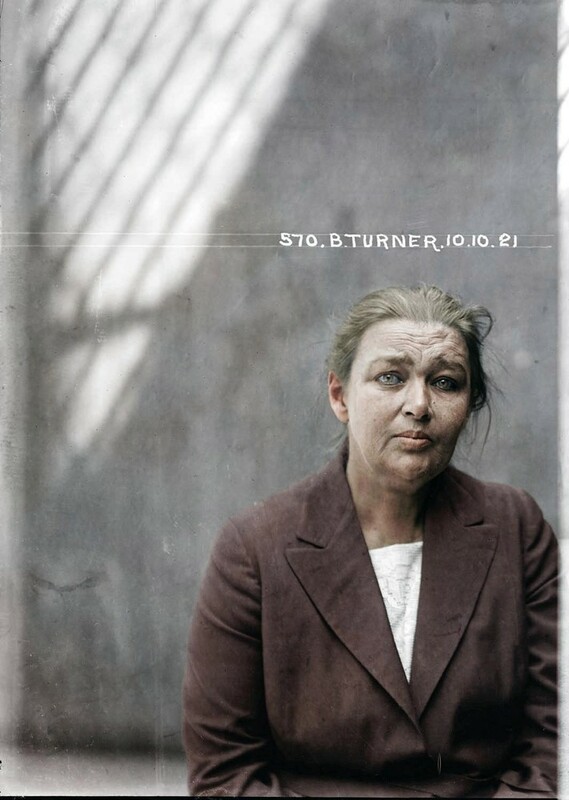 Barbara Turner, 10 October 1921, Central Police Station, Sydney. Con woman Barbara Taylor Turner was known as one of the greatest swindlers of the early 20th century, conning thousands of pounds out of local solicitors using six aliases. 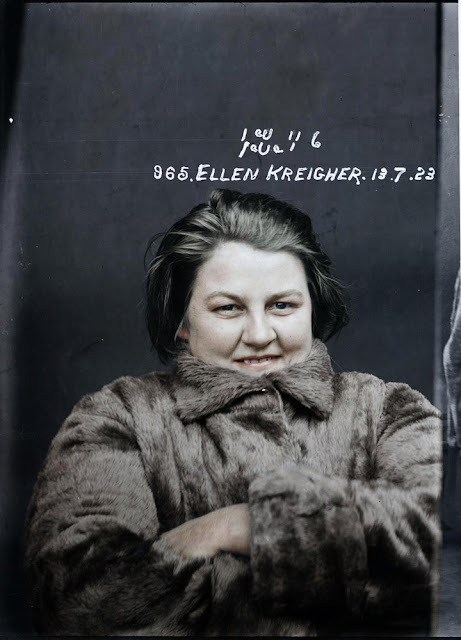 Ellen Kreigher, who had just been arrested and charged with murder, 13 July 1923, Central Police Station, Sydney. 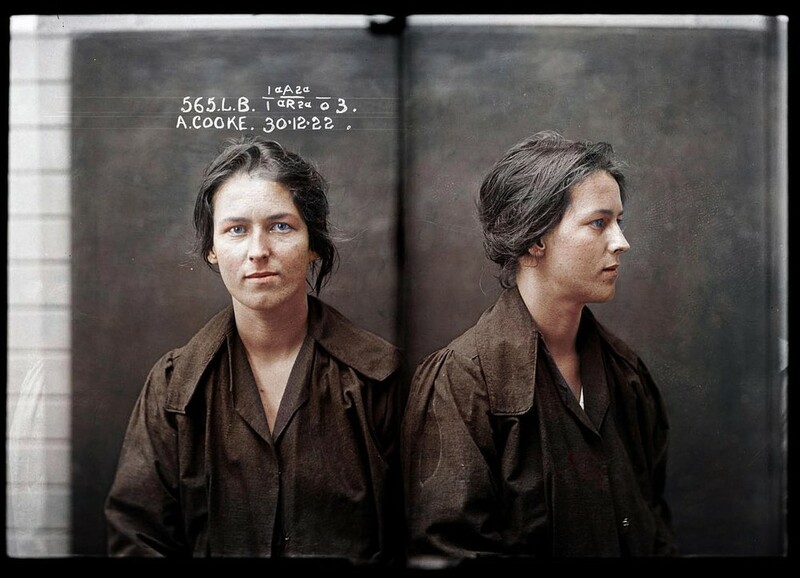 Alice Fisher, 23 May 1919, State Reformatory for Women, Long Bay, NSW. 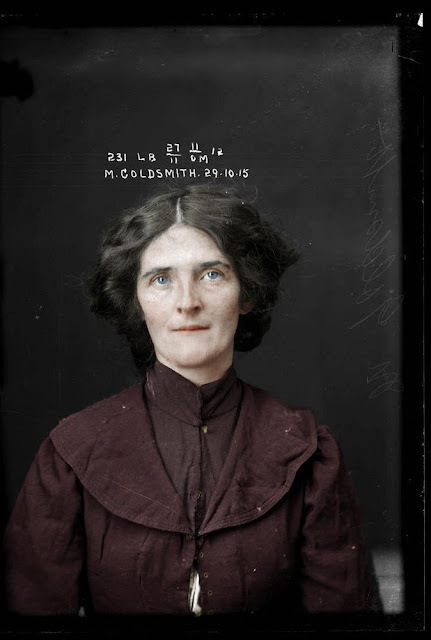 Thief Muriel Goldsmith, criminal record number, 231LB, 29 October 1915. State Reformatory for Women, Long Bay, NSW. 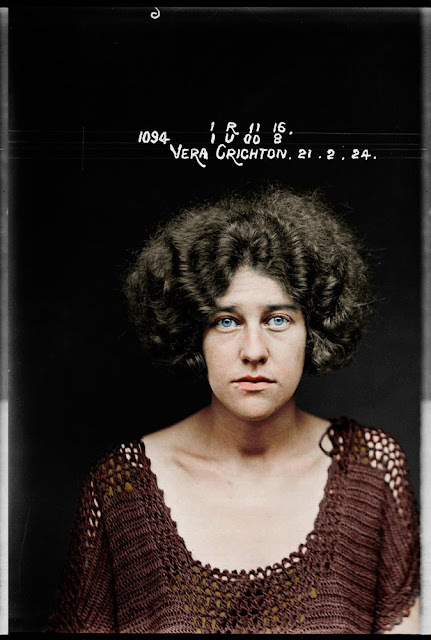 Vera Crichton at the Sydney Women’s Reformatory in 1924. Was arrested after being caught conspiring to procure a miscarriage. Daphne Barker, 26 April 1923, probably at the Central Police Station, Sydney. Details unknown. 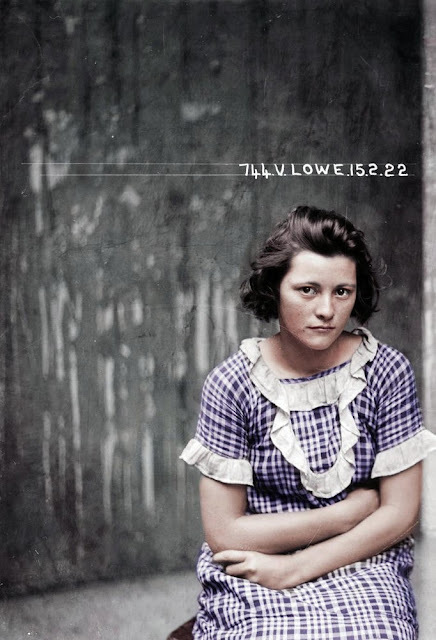 Valerie Lowe, 15 February 1922, Central Police Station, Sydney. 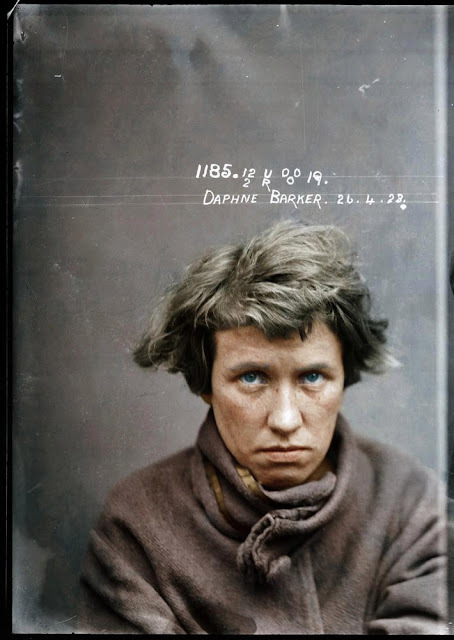 Valerie Lowe was arrested in 1921 for breaking into an army warehouse and stealing boots and overcoats which were worth 29 pounds 3 shillings.